Here’s how: according to a study by Collective Bias, 30% of consumers are likely to buy a product recommended by an influencer. Working with influencers is an organic way to generate trust among your target audience in a language they understand. An influencer is a person who built up their up audience by offering tips, giving advice, demonstrating passion and knowledge that gives them credibility when recommending products to their loyal followers. How do you know which influencer is right for your campaign? There is no right or wrong answer, as both types have pros and cons. Micro influencers’ posts can seem more authentic because product placement is often too obvious with macro influencers. People can tell when they’re being marketed to, and often don’t believe a macro influencer’s post. And partnering with macro influencers can be expensive, as just one post could cost between $2,000 and $50,000, depending on their audience. In fact, top influencers like Kim Kardashian charge $250,000 for a SINGLE post. Working with a micro influencer would cost significantly less, averaging about $200 per post. Working with macro influencers gives businesses more control and a more reliable estimate of return on investment. Businesses can dictate exactly what the influencer should write, allowing the brand to build their desired reputation. Additionally, ROI is easier to determine while working with macro influencers because they can offer followers promo codes that track their sales. The biggest piece of advice we can give when selecting an influencer is to focus on engagement numbers instead of followers. How Can Influencers Help My Business? Partnering with influencers offers businesses guaranteed targeted exposure to a desired consumer group, allowing brands to extend their reach, build credibility, enhance the brand narrative and ultimately set themselves up for success. When working with influencers, the ultimate goal of the marketing strategy is to maximize engagement and reach untapped audiences through the influencer. Partnering with influencers allows businesses and brands to gain access to and build relationships with niche audiences they previously couldn’t reach. When consumers look to purchase goods or services, word of mouth recommendation is key. Word-of-mouth recommendations are more trusted than any type of paid advertisement. While the cost for an influencer partnership would typically come out of your advertising or marketing budget, consumers view an influencer’s “sponsored” content as a peer recommendation. Influencers lend credibility to the product or service your brand is offering because their audience trusts them and thinks of the influencer as a friend who’s in touch with them on a weekly or even daily basis. Storytelling is a powerful way to build a strong and sustainable brand. 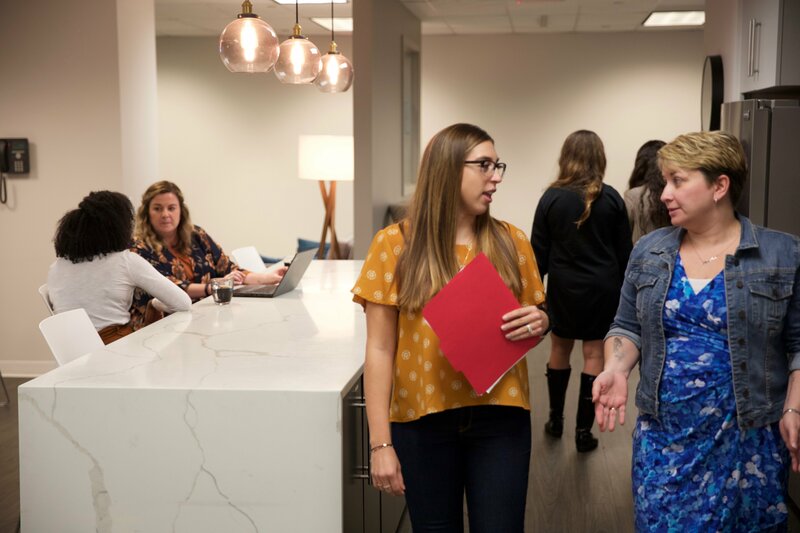 Developing and communicating a brand narrative allows audiences to emotionally connect with a business or product. Influencers can help express your brand’s narrative in a language their followers will understand. Partnering with multiple influencers for varying audiences will help you organically position the brand for distinct audiences that tell different stories to promote the product or services effectively. Working with influencers enables businesses to establish an open feedback loop where audiences can share their positive experiences online. These reviews are important to your brand because genuine feedback from an influencer or their network can encourage thousands of their peers to give your business a try. Though it is appealing to reach out to top celebrity influencers such as Kim Kardashian or William Shatner, it’s important you consider your desired target audience before selecting your influencer. It’s crucial that you do your homework and consider an influencer whose brand aligns with your consumers. 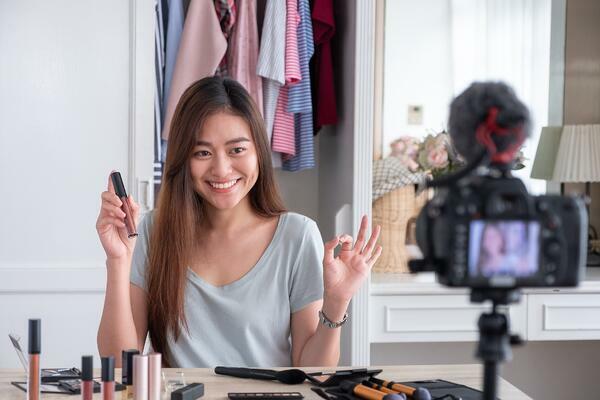 While partnering with influencers is a popular method among marketers, the strategy is a long-term investment, as it takes times to increase awareness and build trust among any target audience. Again, the ultimate goal of influencer marketing is to maximize engagement. Be sure to have a system in place to track engagement and measure the effects of the influencer with whom you’re partnered! The catch of influencer marketing: some influencers tend to over-influence. With some influencers, every piece of content they produce is a product endorsement. Over time, their audience grows tired of the constant advertisements and their effectiveness begins to diminish. It’s best to partner with an influencer who is selective about the brands with which they chose to partner.